Anabella Reale (left), 6, and her sister, Cecilia, 4, played outside the buildings their parents recently bought opposite Nantasket Beach in Hull. 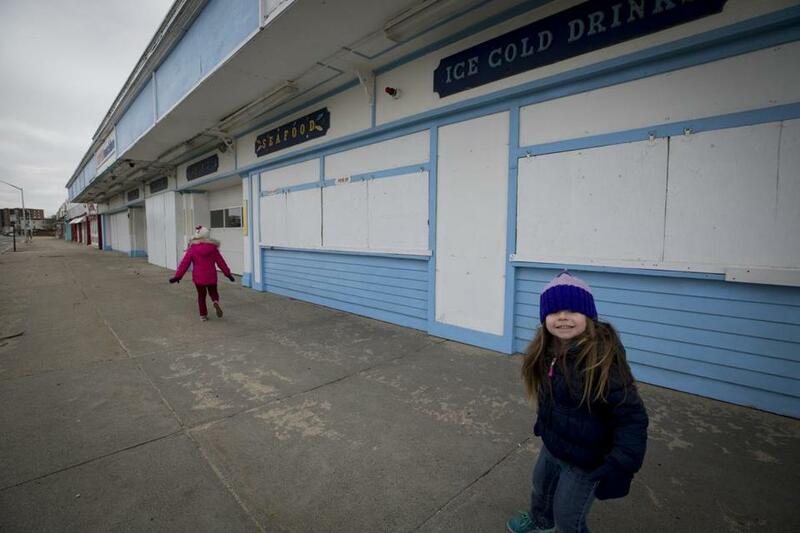 HULL — The paint is faded, windows filthy or boarded up, and there’s a general air of neglect at the block-long arcade building that takes up the bulk of the commercial strip across from Nantasket Beach. 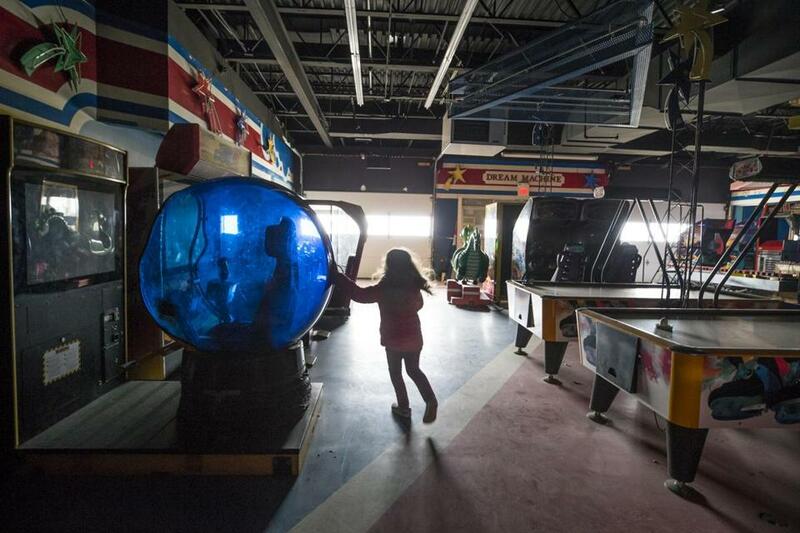 But the enterprising couple from Hingham who bought the property and the adjacent mini-golf course for $2.2 million in November 2017 look at the site and see the bustling amusement center it once was, and could be again. The Reale family: From left, Anabella, mother Diana with baby Juliette, 5 months, Cecilia, 4, and father Chris. 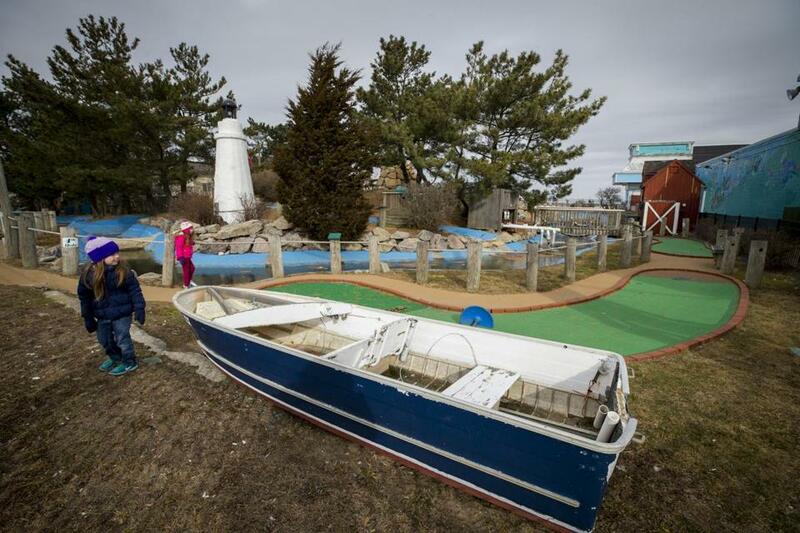 The mini-golf course at Nantasket Beach. Inside the arcade building opposite Nantasket Beach. The restaurants already in the block — La Dalat and Joseph’s Pizza — will remain, as will Carousels & Ships gift shop. Eventually, the Reales want to find other family-friendly businesses for the vacant slots in the block. Reaction from local officials and businesses has been positive. “As long as they want to clean up the area and make it look better and function better, that’s great,” said Hull town planner Chris DiIorio. Ken Hackel, who has owned and run Carousels & Ships with his wife, Jan, for about 30 years, also endorses the plan, especially if it entices other businesses to Hull and brings in more day-trippers. Paragon Park, the amusement park best known for its roller coaster along the beach, brought thousands of people to Hull when it opened in 1905. The creation of George A. Dodge, an industrialist who made his fortune in whalebone, Paragon Park attracted celebrities ranging from singers Judy Garland, Fats Domino, and Frankie Avalon to the Three Stooges and Roman Catholic Cardinal Richard Cushing, who came to the park every year on his birthday. The park survived blizzards and devastating fires, rebuilding each time, until the owners finally decided to sell it to a condominium developer in the mid-1980s. The park closed in 1984, the condominium project collapsed, and the rides and paraphernalia were sold at auction in 1985 and carted away. 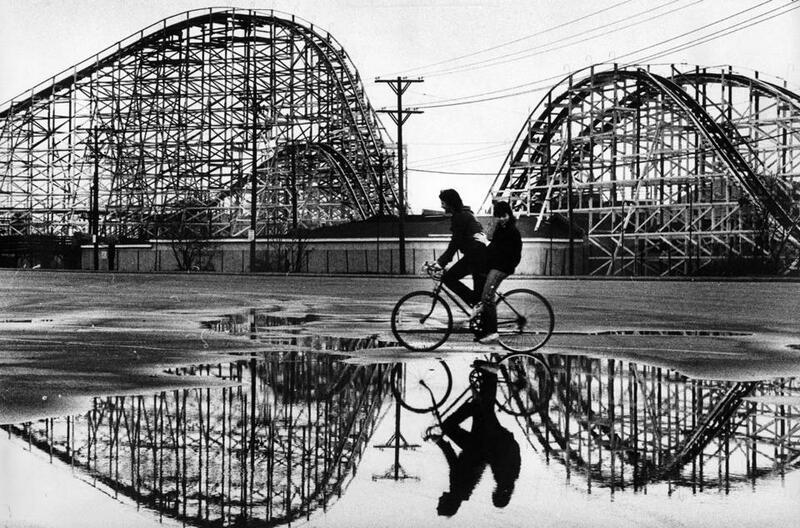 The roller coaster at Paragon Park in March 1984, the year it closed. The Paragon Carousel on Nantasket Avenue, the last remaining attraction from Paragon Park. 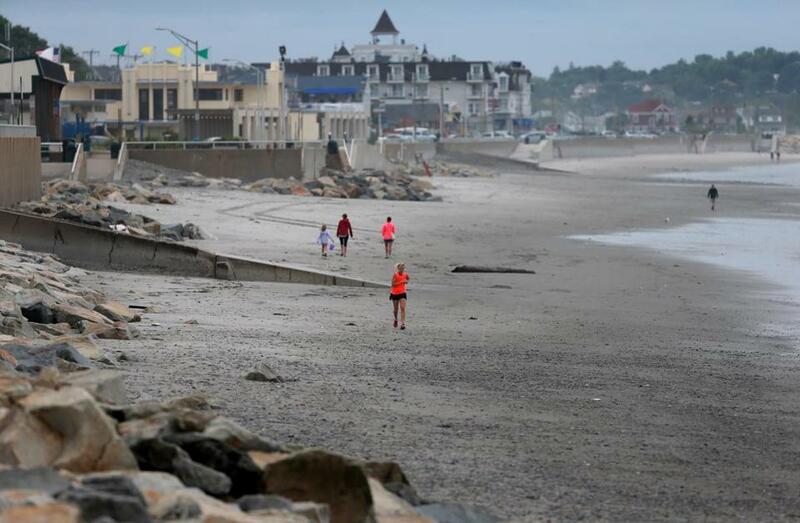 A view of relatively empty Nantasket Beach. 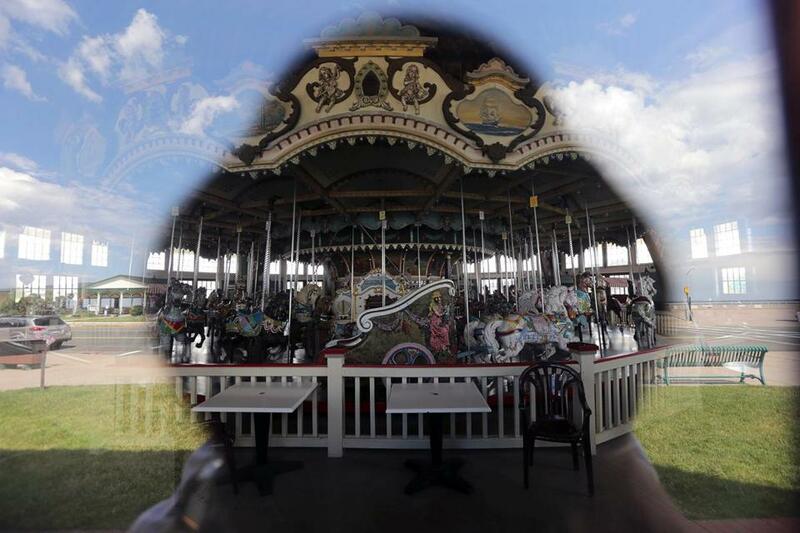 All that remained in Hull were the Paragon Park Carousel — bought at auction by local investors and moved a short distance in 1986 to its current site — and the arcade building. The carousel has been restored to its 1928 grandeur. The arcade building has not fared as well. 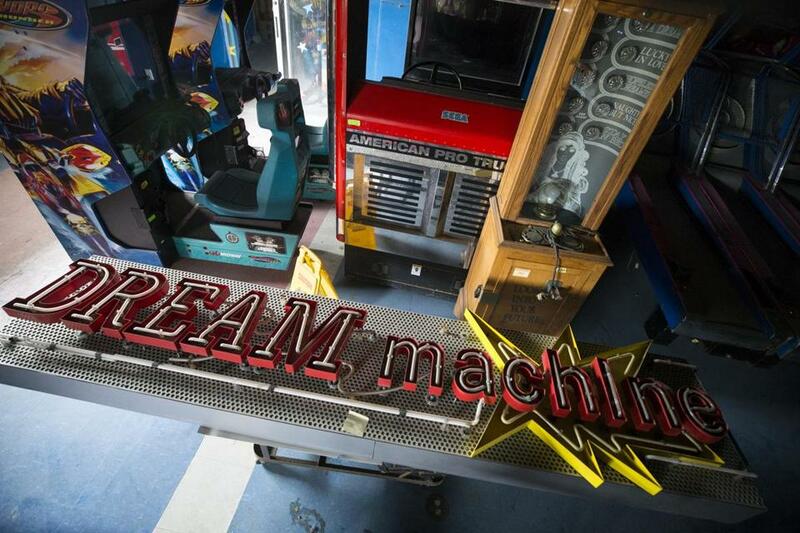 While the arcade and its vast array of games remained open during the summer, they operated with decreasing reliability. 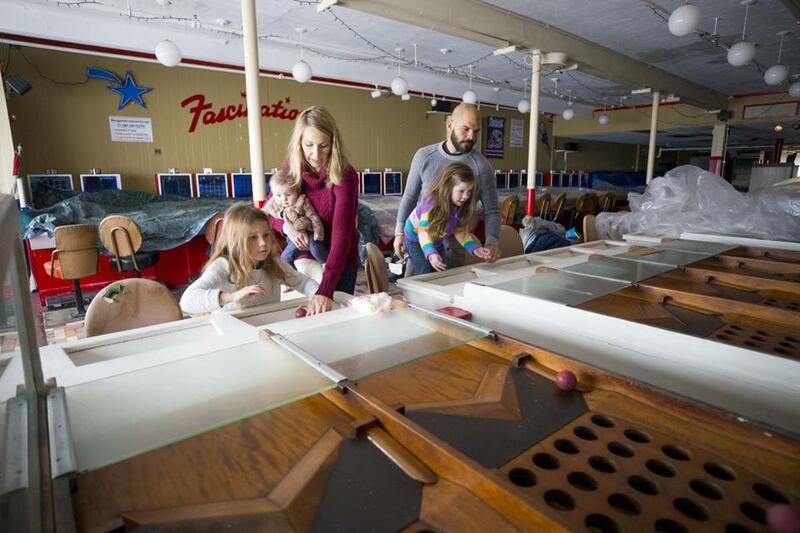 And for the last three seasons, the Fascination parlor has been closed and quiet, depriving devotees of the vintage game that incorporates features of bingo and Skee-Ball and involves people competing to be the first to roll small hard rubber balls into 25 holes in a wooden board. 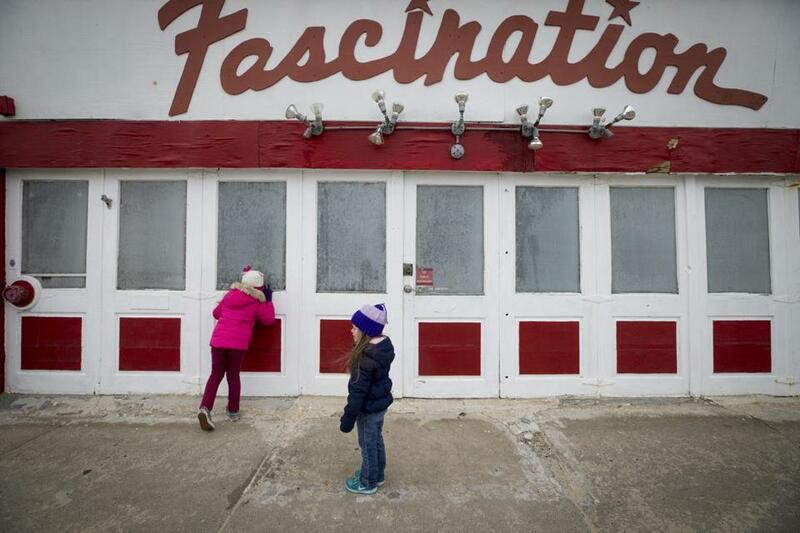 The Fascination parlor has been closed the past few years. The Reales knew nothing about the history of Paragon Park, or Hull, when they moved to the South Shore from Boston five years ago. But they quickly discovered the beach — he’s an avid surfer — the carousel, and the arcade. She said, though, that she kept hearing how much potential the area had to be better. So when the property became available — the owners were getting out of the arcade and real estate business nationally — she and her husband decided to buy it. “The opportunity arose, so why not take it?” she said. The mother of three young girls — the oldest is in kindergarten — with a background in nutrition, Diana Reale said it helped that she was just coming off her first successful foray into development: restoring and reviving the historic Whaler’s Inn in Mystic, Conn. The Reales bought that property in 2014, sold it in 2017, and were looking for a project closer to home. Danny Levin, whose company, Imperial Realty, had owned the 3.5-acre parcel for 30 years, said he had gotten tired of waiting for the state and town to reach an agreement that would allow a larger mixed-use development. He said the property could be successful with the existing use as well, but he was getting out of the business. Diana Reale said the focus for now is on improving the mini-golf course and arcade. “We really want to evoke nostalgia from people, so we’re going to keep a lot of the styles of games that are there, just new ones that won’t constantly be breaking down,” she said. At some point she hopes to be able to offer free trips to the arcade and other Hull attractions through a foundation that she and her husband recently formed, Progress Together, which aims to help families touched by cancer. She also wants to encourage other entrepreneurs to come to Hull. She said she had not heard that the town was considering rezoning the beach area to allow recreational marijuana businesses, and had no idea what effect that could have. For now, though, “our main focus is to make the small improvements to be able to open for the summer,” she said. Chris and Diana Reale plan to renovate and update the arcade building and mini-golf course at Nantasket Beach.